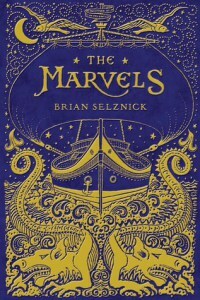 Read PCTELA member Jason Griffith’s review of Brian Selznick’s lecture called “Showing to Tell,” part of Julie Burstein’s “Spark” series of cultural conversations at the Metropolitan Museum of Art. The neat thing about seeing Van Gogh’s paintings live and in-person is that you can clearly see the brush strokes in the texture of the paint. It only takes a little imagination to picture Van Gogh madly dashing and dabbing his way across the canvas. In June, I visited the Metropolitan Museum of Art for the first time, and one of their featured exhibitions was Van Gogh’s Irises and Roses. It was the first time the four paintings in the set had been reunited since Van Gogh painted them 125 years ago. An exciting event for sure, but I had come for a different reason. Brian Selznick was taking part in a lecture called “Showing to Tell,” part of Julie Burstein’s “Spark” series of cultural conversations at the museum. A Tree Grows in Brooklyn. A classic coming-of-age title I should have read by now. My son, a resident of Queens, takes me to Brooklyn often when I visit. I been to the other boroughs many times, too, but Brooklyn is my favorite. The Boys in the Boat. 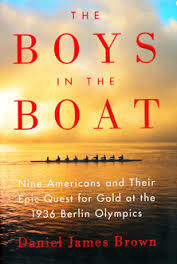 Fabulous NF which celebrates the 1936 U.S. men’s Olympic eight-oar rowing team’s quest for gold. Always some summer NF, often a sport for me! Recommended by a German teacher friend who admits to reading very little on his own. The Kingmaker’s Daughter by Philippa Gregory. I love all that English “stuff” by her, by Hilary Mantel, and others. God, Dr. Buzzard, and the Bolito Man: A Saltwater Geechee Talks About Life on Sapelo Island by Cornelia Bailey with Christina Bledsoe. With retirement to Georgia one possibility for us, I wanted an “unusual” read and found this. Recommended by a tech support friend who rereads it periodically as it is a favorite. Teaching in the Block. That’s what’s coming up September 1st for our school. I have only one year’s experience (elsewhere) with this and look forward to this challenge. 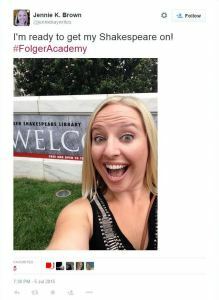 Today’s post is by Gina Motter, a teacher at State College Area High School.